Happening today!!! 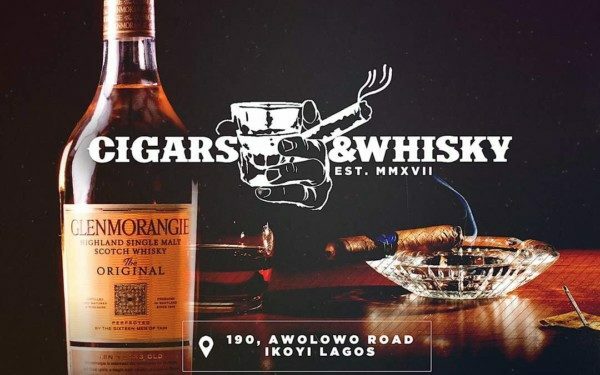 Scotland’s favourite and globally renowned whisky, Glenmorangie Single Malt whisky, in collaboration with Ice Entertainment and Cocoon Lagos presents “Whisky and Cigars“. A Journey into Glenmorangie; a valley of tranquility with an infusion of mature entertainment battered in fine Cigars…. Venue: Cocoon Lagos, 190 Awolowo Road, Ikoyi. Glenmorangie Single Malt Scotch whisky, an unnecessarily well-made single malt whisky, a perfect creation combining art and science. Distilled in the tallest stills in Scotland using the purest water from the Tarlogie Springs, only the best of the best collected from the stills and matured in only the best quality matured seasoned oak casks which are only used ‘twice’. Renowned as the most innovative malt whisky brand in the world, its current creator, Dr. Bill Lumsden is a world authority on whisky creation. Ice Entertainment Limited, established in December 2013, is a core entertainment company with a Mandate to provide services in the entertainment and Tourism sector in Nigeria. The company’s businesses consist of the organization, management and promotion of live events, as of December 2016 the company connected with approximately 2 Million people across its multiple platforms in over 7 countries.